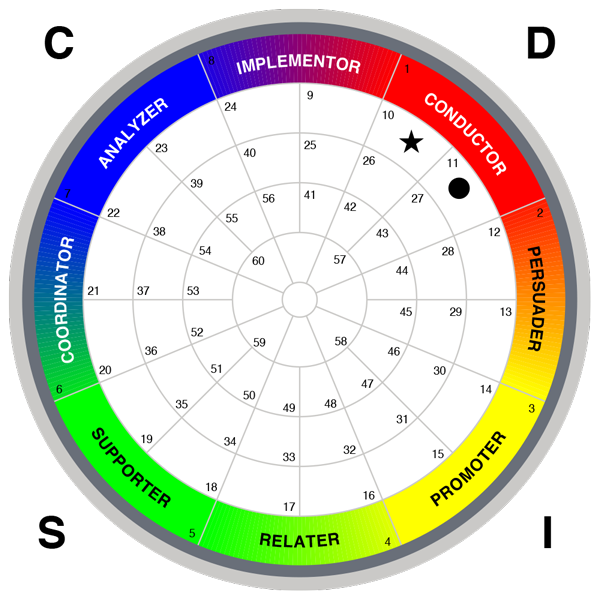 Jaluch provide Colourwise Profiling using the versatile Success Insights DISC tool. Extensively used and validated globally, Success Insights DISC is based upon the later work of William Moulton Marston, and Walter V Clarke. Jaluch are authorised suppliers of the TTI Success Insights Colourwise Profile. The Colourwise approach offers a simple and memorable colour system that is easy to understand and integrates perfectly with many of our in-house training courses including leadership, influencing skills, and team building. Whether you wish to help individuals understand themselves better, build more confidence in your people, or transform the way that your teams operate, Colourwise offers a practical, engaging, and positive solution. Profiles take around 10 minutes to complete online, and the output is a comprehensive report which details an individual’s key strengths and weaknesses, communication preferences, value to the organisation, keys to motivating and managing them, and suggestions for development. The Colourwise approach recognises and values individual difference and can empower individuals, teams and entire organisations alike. Although you will receive a thorough report, we do offer additional feedback if you would like to fully understand your profile. This is charged at £30 and will normally take place over the phone.